To be honest, I haven't been purchasing any makeup products lately. My current efforts seem more focused on searching for the perfect anti-aging skincare regime than adding any new products into my already quite packed makeup drawers. However, I still couldn't pass it up when I stumbled upon Sleek Makeup booth in the country that I'm currently posted. I swear that my heart skipped a beat, as the last time I've seen Sleek Makeup booth in person was in Superdrug UK. Being the usual beauty addict that I am (I guess old habits die hard), I stood at the booth and did a whole half hour swatching, with the SA constantly giving me weird stares. They must be wondering what the heck this Asian girl is doing. Though the blushes were vibrant, pigmented and pretty, I decided to give it a pass since I thought they were rather powdery to my liking. Instead I left the booth with Sleek Face Contour Kit, as I was curious on how it compares to my Make Up Forever Sculpting Kit. 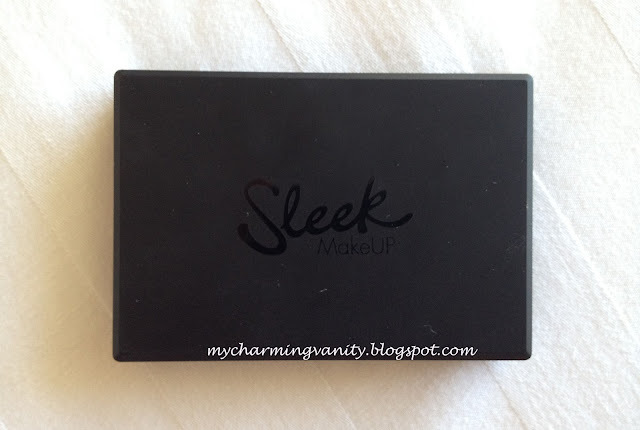 Sleek Contour Kit is packed in the usual black compact that comes with 14g/0.48oz of product. First off, I must say that I am VERY impressed with the packaging. Not only the packaging is really sturdy, it also comes with a decent size mirror which is perfect for travel. As with many sculpting/contour kit out there, the product comes with two sides; one larger side is packed with sculpting powder, while the smaller side is packed with highlighting powder. I presume the idea is that we would usually go through sculpting/contouring powder more quickly as compared to highlighting powder due to the sheer difference in skin area that it's used for. The shade that I picked up for my NC20 skintone is Light. However, you can find it in Medium and Dark shade as well. 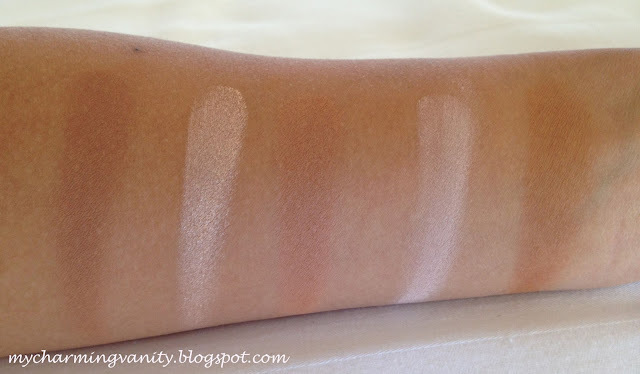 Comparing the sculpting kit to the blush range by Sleek, I was pretty surprised that the texture of this product is not as powdery and more akin to the texture of high end products (MAC and etc.). I find that this type of texture is the easiest to work with, since it is easier to pick up the right amount on the first attempt with any blush brush without much hassle. 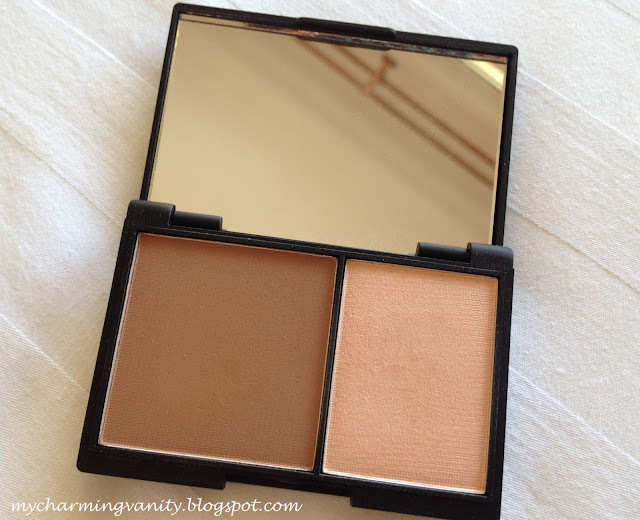 Color wise, I would definitely say that this is more suited as a contour rather than bronzer. If you compare the sculpting color within the kit to Make Up Forever Sculpting Kit, this is less orange and I personally find it works better as a contour on my light (yellow based) skintone. 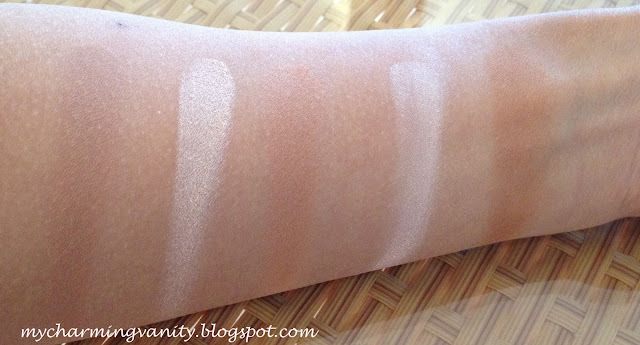 As for the highlighter, hands down, I prefer the one in Sleek's Contour Kit. 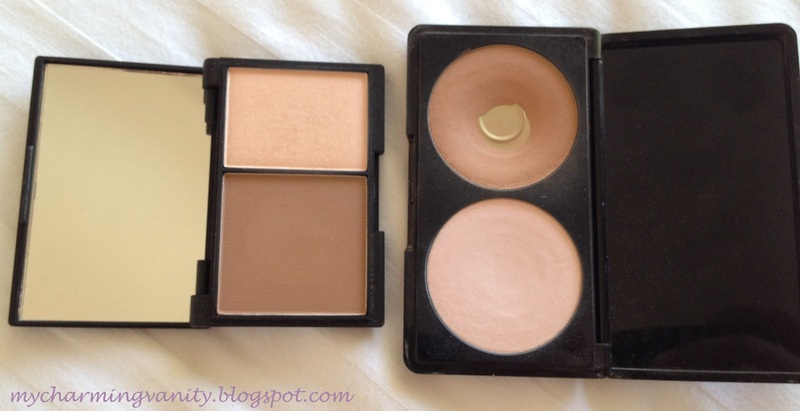 The light shimmer in the highlight powder works beautifully on my pale skin, accentuating the high points and giving a nice overall glow; while Make Up Forever's is sorta a matte porcelain/pinkish powder which comes up rather weird on my skin. 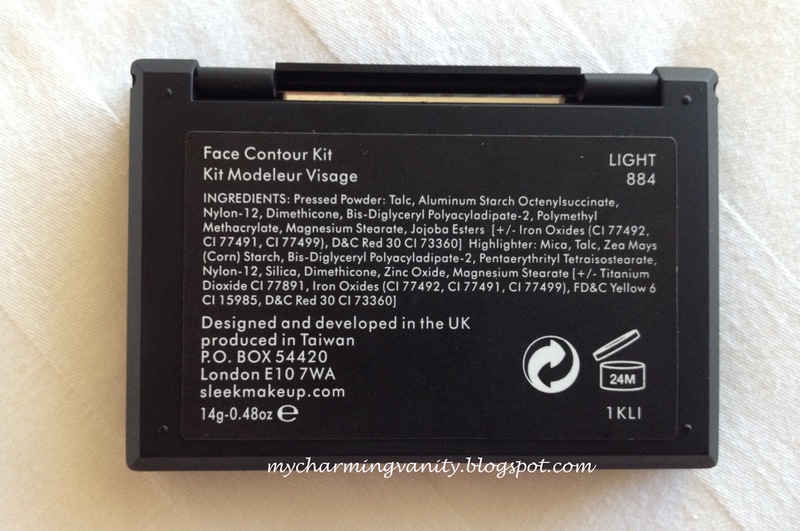 Overall, I think this is definitely a good product to look into if you are keen on purchasing a Contour and Highlight type of compact. Personally, I would actually recommend this over the Make Up Forever Sculpting Kit as the overall performance is comparable, if not even better to my liking. I bought this at close to RM25/SG$10. If you are interested, you can visit their website at Sleek Makeup. hi dear, i love using mufe sclupting kit, because i think it has more "red" brown kinda shade. i was curious about the sleek one . is it red brown or "yellow" brown? please reply . thank you sweet. Hello there! you may check out luxola.com for the kit if you are based in SG / MY. Hope this helps!